An hour outside of Chiang Mai is a sanctuary. 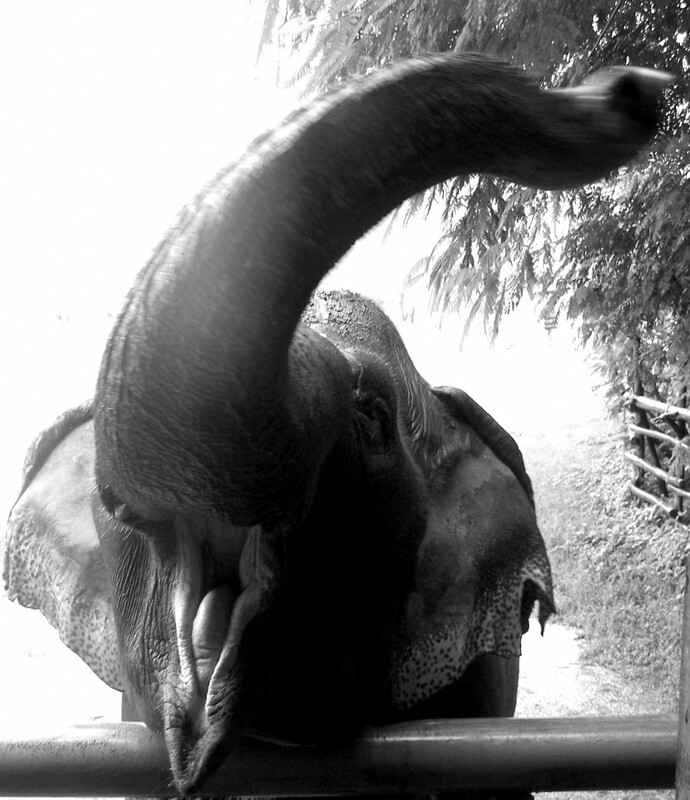 A place where elephants from the elephant tourism and illegal logging industries go to live out their lives in peace. Here, there are no bullhooks. No one gets to ride on them. There are no tricks performed or paintings painted. 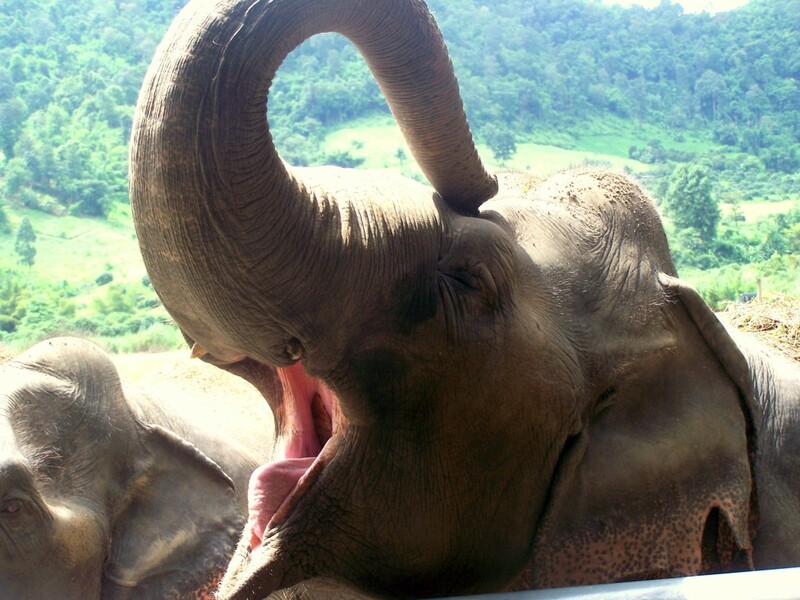 Here, at Elephant Nature Park, the elephants live in bliss. 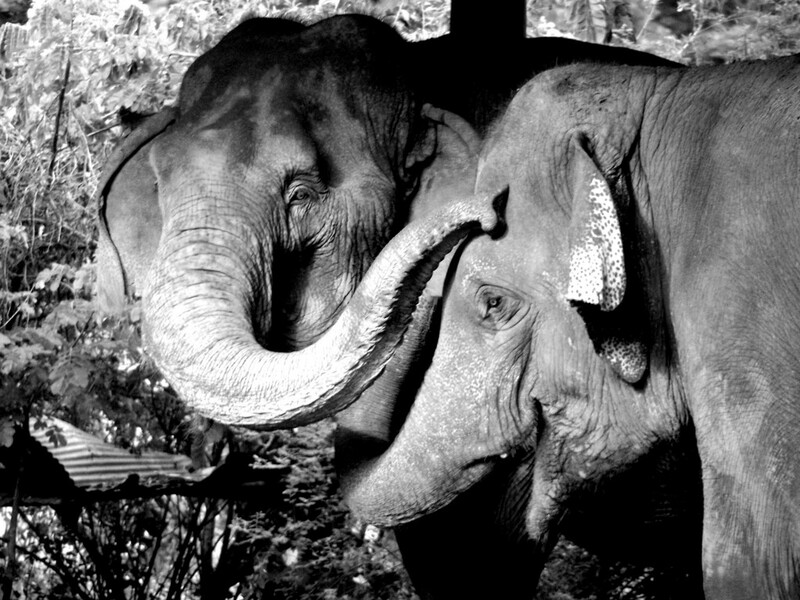 Yesterday, that very bliss some of the elephants at the park are so fortunate to have, was threatened by Thailand’s Department of National Parks. 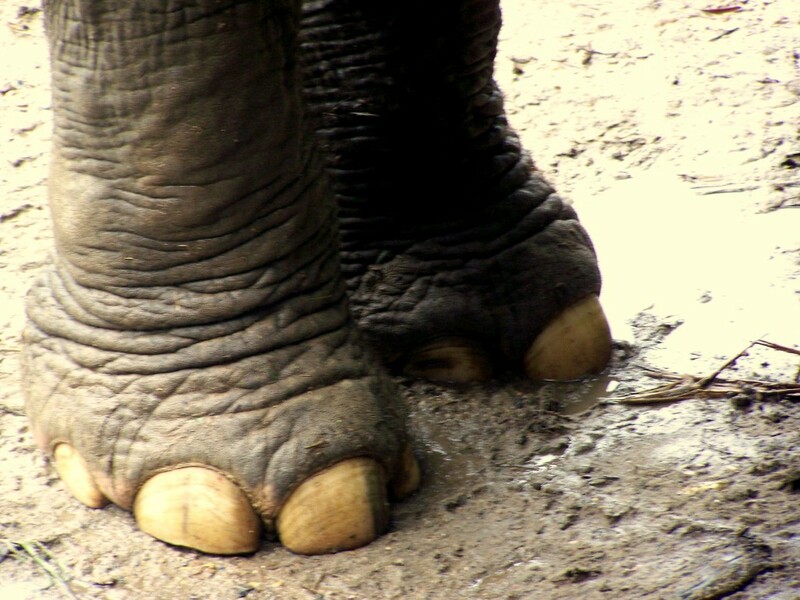 Fortunately, people in this world still care, and hundreds of supporters of the park and the Asian elephant banned together to spread the word about what was going on. 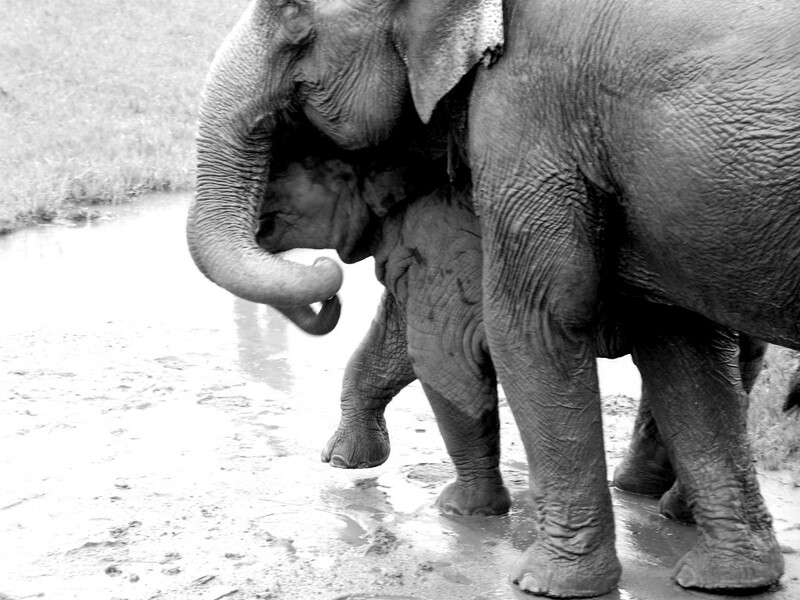 Today, I want to show the world the beauty that exists at Elephant Nature Park. 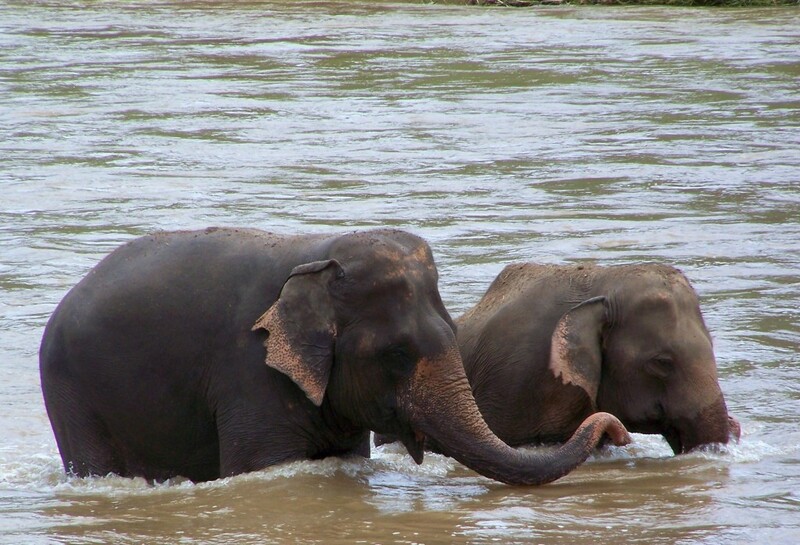 I want to highlight these elephants who live their days chomping on fruit, chatting with each other, engaging in relationships, taking dips in the river, and living their lives content and free from the chains of tourism. Best friends showing affection with their trunks. Mom and baby have a moment of cuddles. Capable of eating tons of food a day, it seems as if these animals spend a lot of their time enjoying the fruits and veggies at the park. 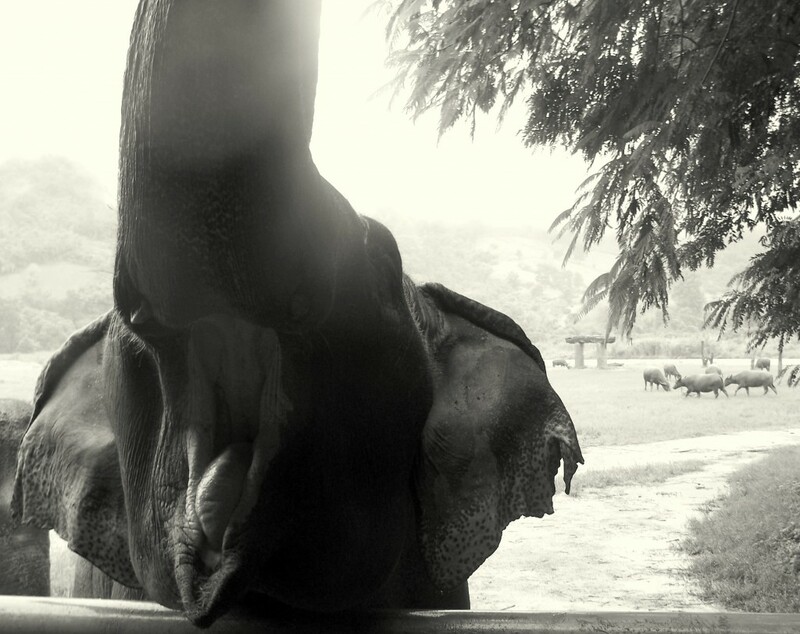 One of my favorite elephants to observe and feed during lunch was Jokia, the blind elephant. Jokia rests her trunk, waiting for food. The exploration for food begins for Jokia. 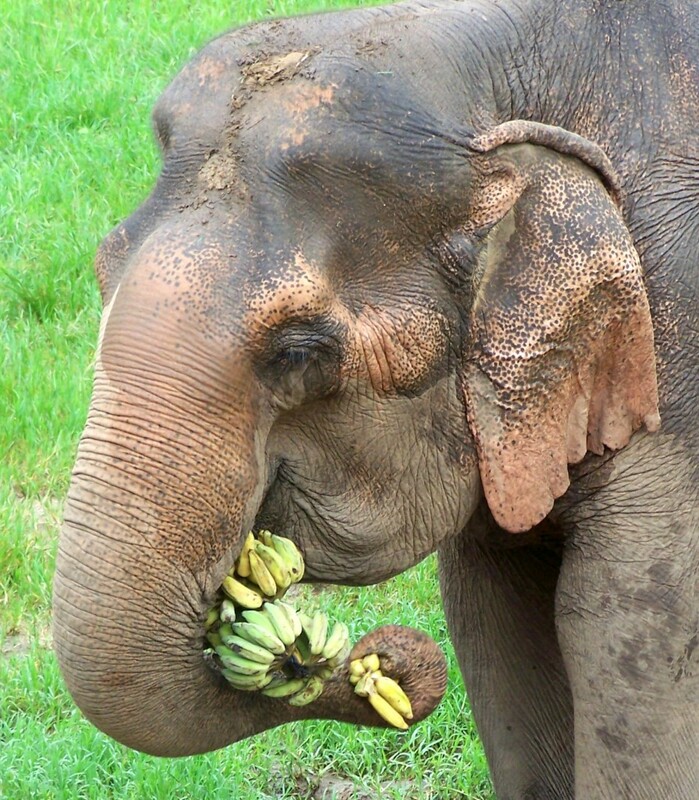 She searches out food with her trunk. The dog is clearly unphased by the roving trunk. And when she grows tired of that, she simply reverts to opening her mouth for someone to place food within. 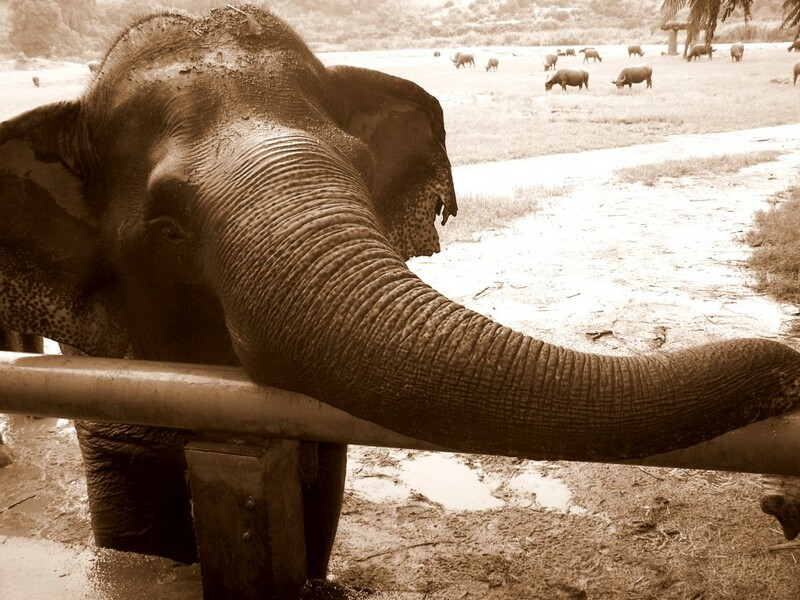 The elephants have strict feeding time, so she has to wait. Finally, it’s time to eat. Then, they get to enjoy the sweet rewards of their wait in the form of lots, and lots, and lots of food. One cluster of bananas is clearly not enough for this gorgeous girl. 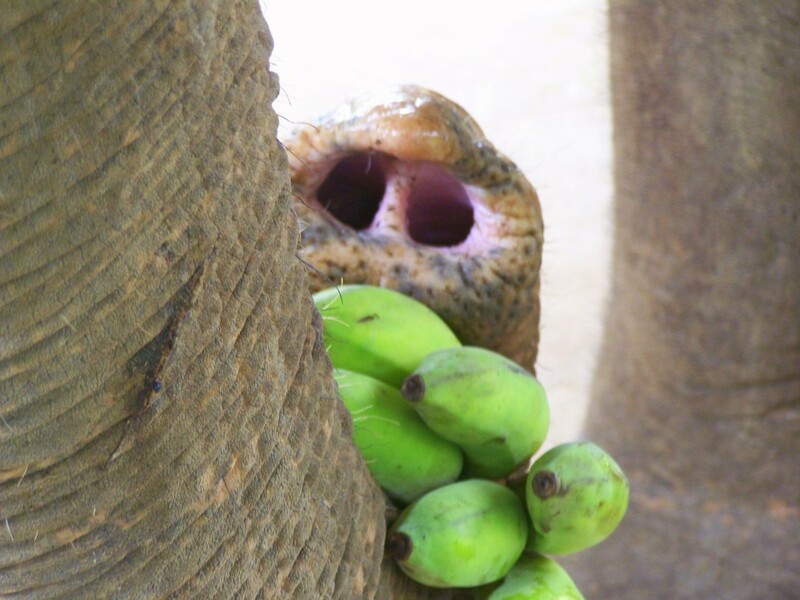 Under the watchful eye of a mahout, visitors place the fruit directly in the elephant’s mouth. She just looks happy eating! Another favorite time of day for me was when it was bathtime. 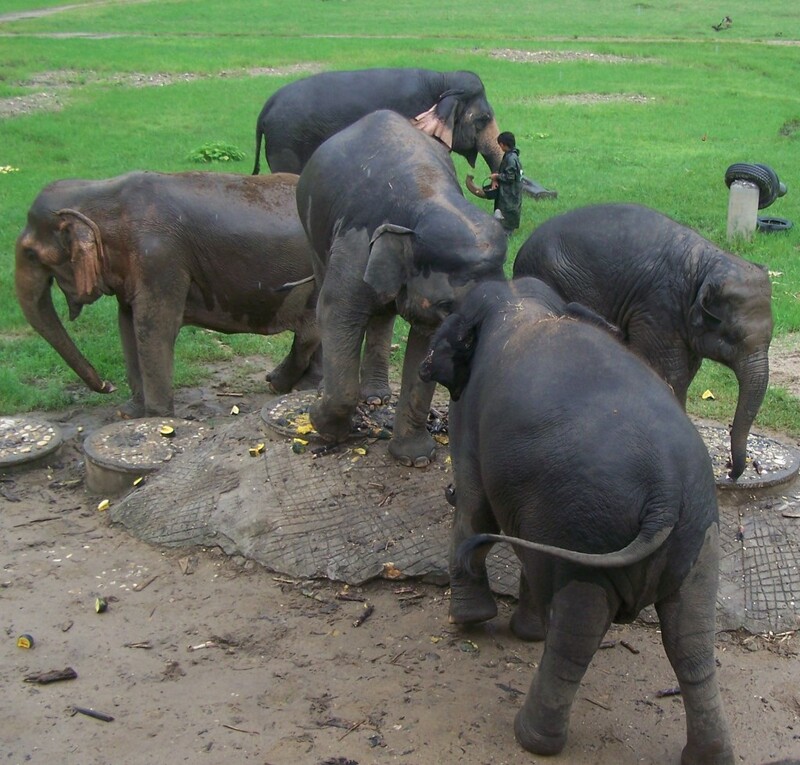 Each afternoon, the park’s elephants make the walk from the fields down to the river and either get washed by volunteers or go in on their own. One of the families begins their walk to bathe. 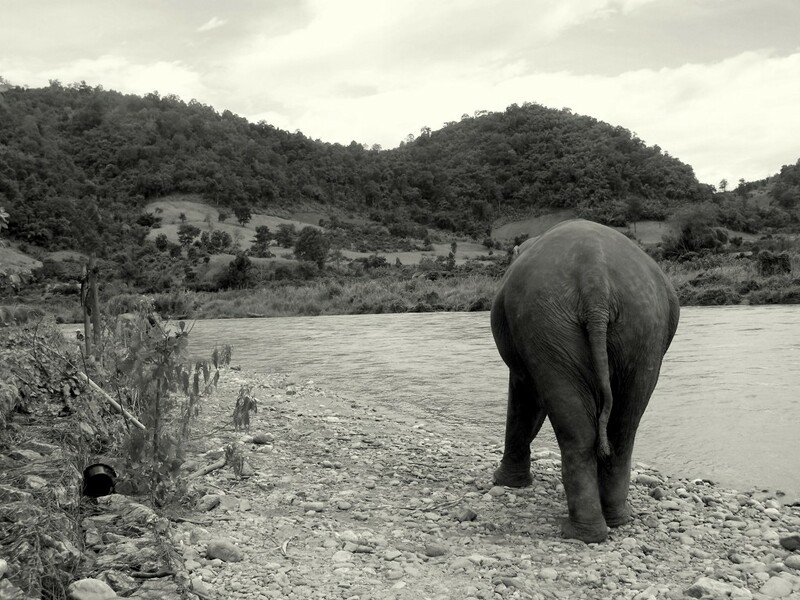 A lone elephant walks along the bank of the river en route to getting clean. 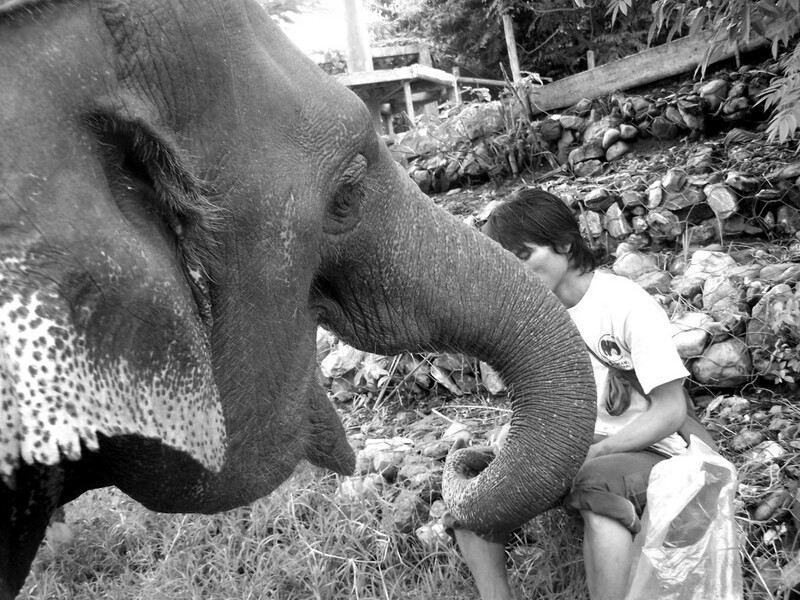 A mahout stands with Jungle Boy, one of the younger elephants at the park. Best friends hang out together for a little cooling off in the hot afternoon. But, there are so many other moments worth sharing. So, here are some of my other favorite photos (I took hundreds!). 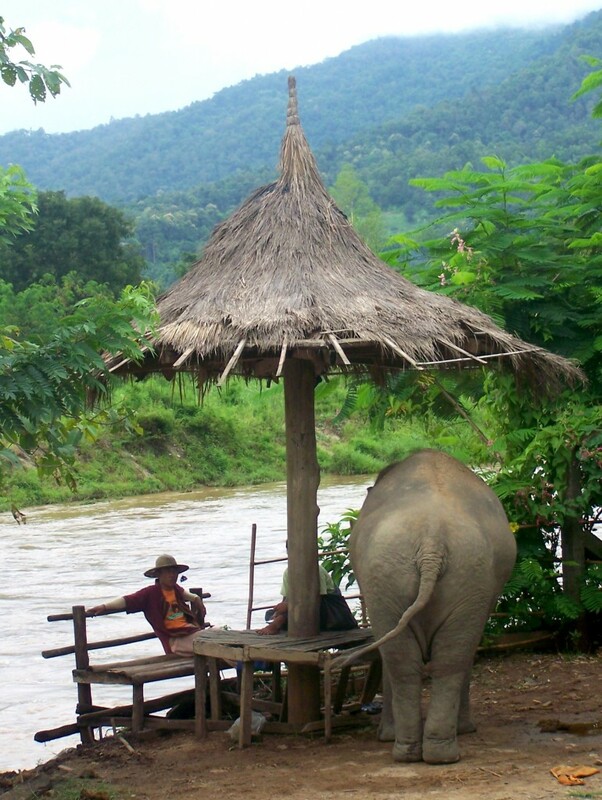 A mahout and elephant hang out together by the river. 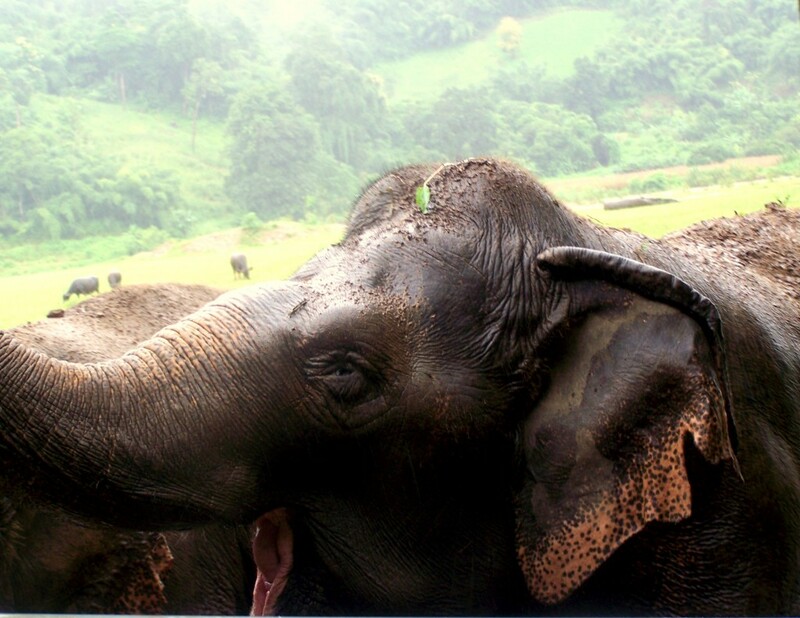 Mahouts have special relationships with their elephants. 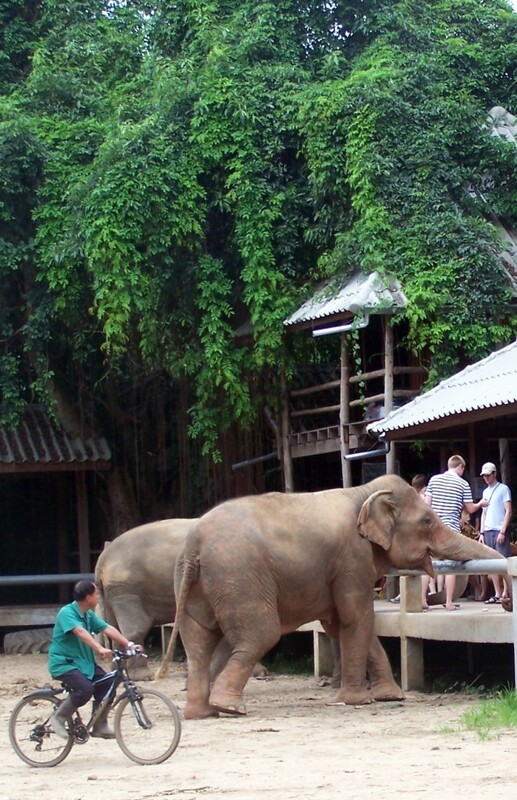 A staff member bikes past an elephant … waiting for food. The albino elephant at the park. No more trekking for these feet. I hope you enjoy these images as much as I enjoyed taking them. 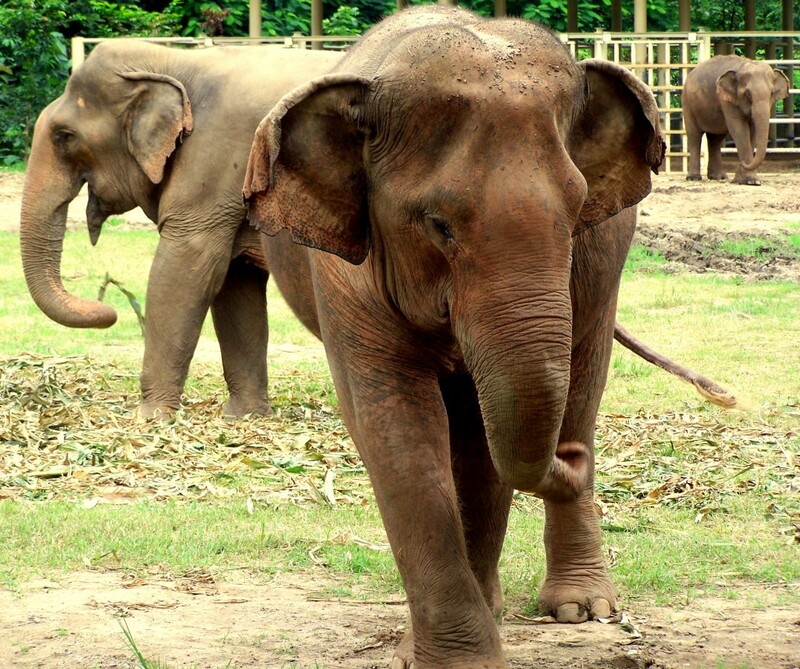 If you want to spend time with these amazing animals, there are opportunities to take day trips to the park from Chiang Mai, as well as one- and two-week volunteer stints. 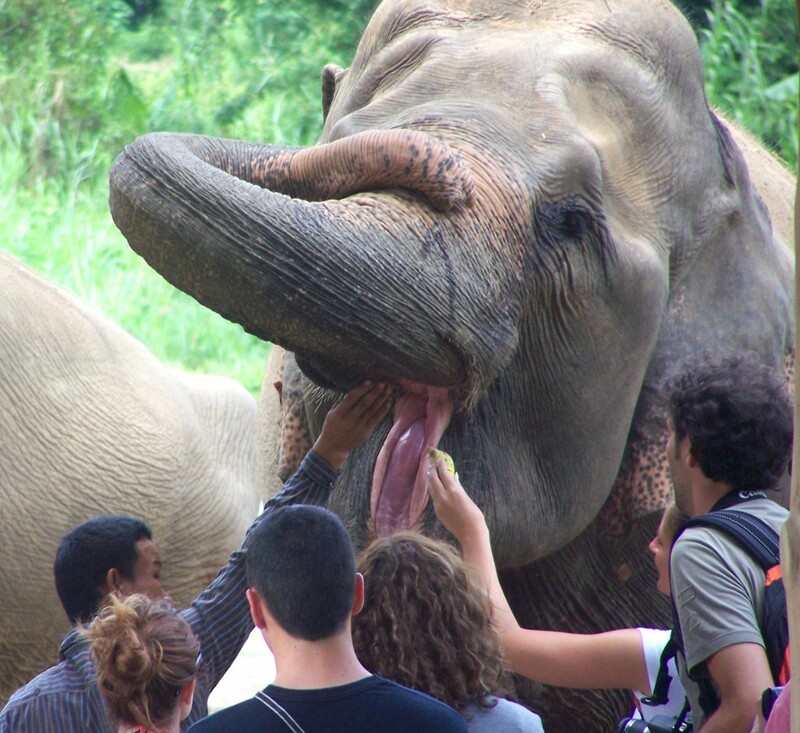 To learn more, visit Elephant Nature Park’s Web site. For more information on what has gone on at the park, please read about the Thai Wildlife Raids (there are links within that take readers to other sites to help guide them on how to show their support of the park). 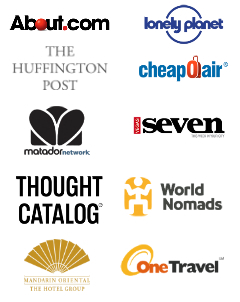 Show your support for ENP and WFF! Sign this petition telling the DNP you do not support the capture of these animals from the sanctuaries. 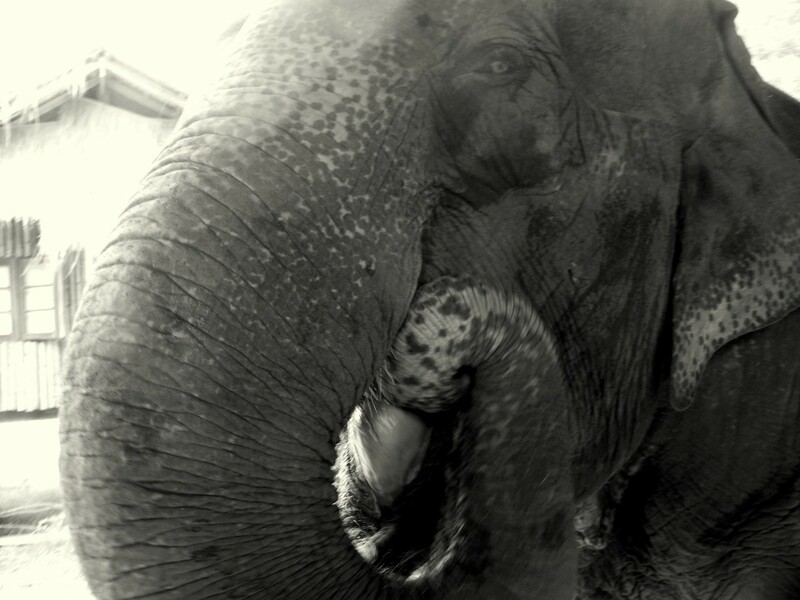 Help let Thailand know the world is watching and cares! Consider the petition signed. What a travesty; so glad you’re spreading the word about what’s going on. Gorgeous lead photo Diana, your passion really comes through in your photos. Did she have her paperwork handy to avoid what happened at the other place? Sending good thoughts to Lek. The park keeps really good records of the animals. It seems to me they need to get additional records for these three elephants to prove they are legal, but hopefully they can do it in the 15 days of time they are being given. If not … I mean … two of those girls are severely disabled and would suffer greatly without the care they receive in the park and their companions. Of course, the two girls are the ones who captured my heart and I spent the most time loving. These are heartwarming photos – what beautiful animals. I am so glad!!! They are so magnificent! I love ALL of these photos. 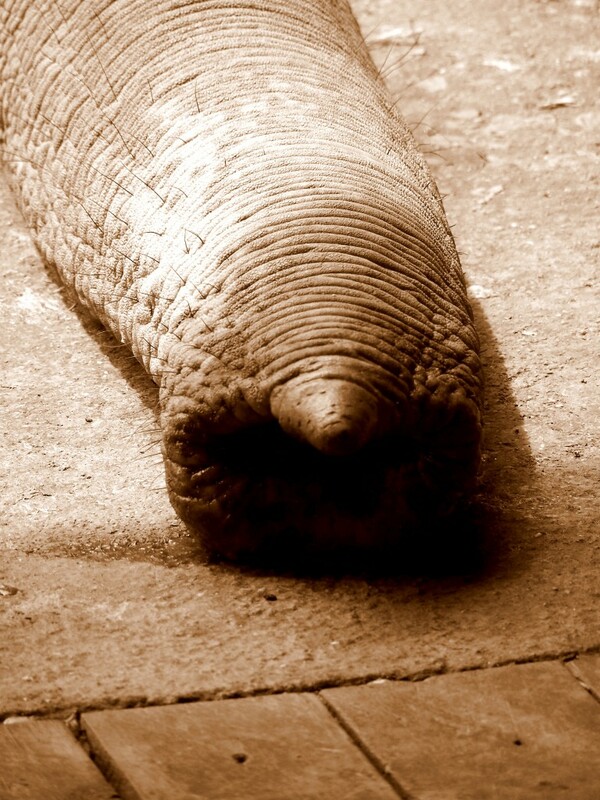 You are so lucky to have been able to interact with these creatures. Thank you! Yeah, I count my lucky stars regularly for the experience!! Beautiful photos D. Another heartbreaking read though. Happy to see people standing up for the elephants though! Thank you. I hope there is good news to report soon! Beautiful photos. I am glad that this sanctuary exists for these majestic creatures. For years man has stolen their land, killed them for their ivory and held them captive to do tricks for money. It is nice to see that some in Thailand are undoing some of this. It is nice to see. This sanctuary is one of my favorite places in the world. It is truly heaven.